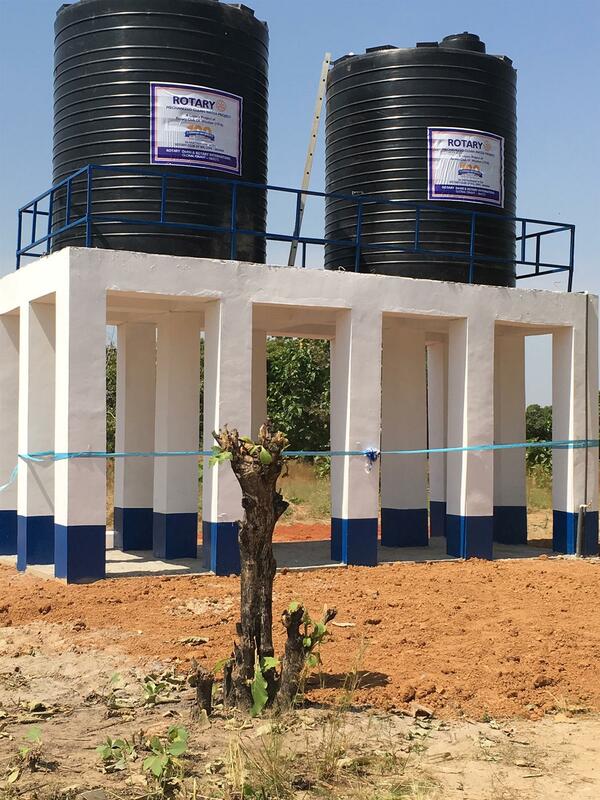 The Clean Water Project in the Town of Jirapa, Upper West Region of Africa provides a significant source of clean water, improving and securing this critical need for more than 18,000 people. 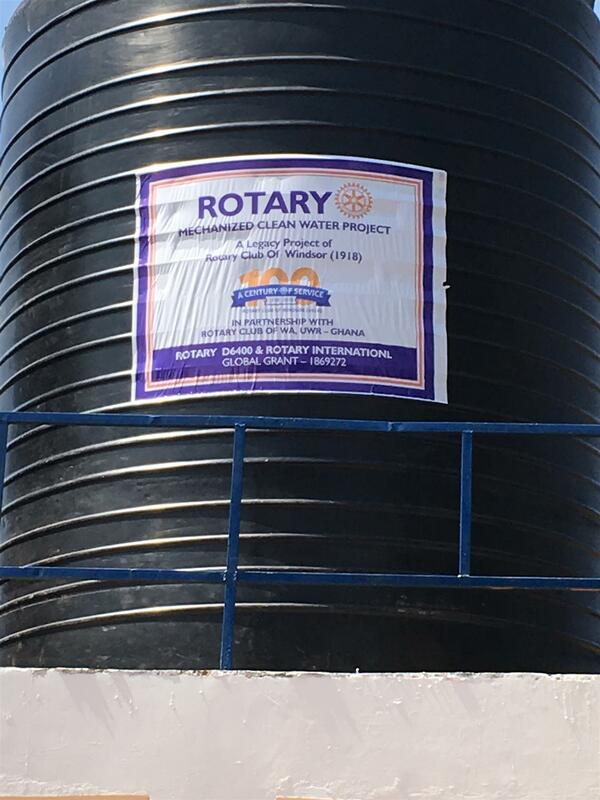 This project, led by team leaders Ron Arkell and Sir Dr. Godfrey Bacheyie, was one of our Club’s Centennial projects and to support it, approximately US$110,000 was raised. Construction was delayed due to a late rainy season, but was very close to completion as of the end of November, when the Rotary team returned from their trip. It is comprised of two 20,000 litre tanks at one end of town and one 60,000 litre tank at the opposite end. Piping with spigots is proceeding, to provide clean running water, and will also be connected to the town’s water system. Click here for more pictures of the construction of the foundation, drilling of boreholes and tanks.